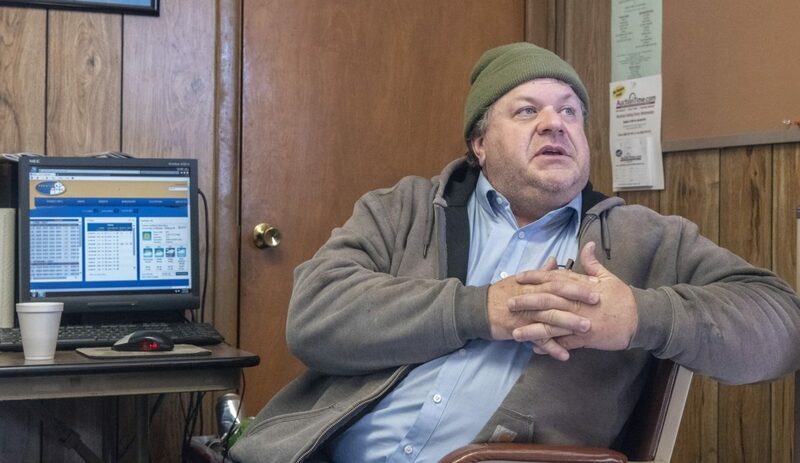 A handful of farmers sat inside the office of Premier Cooperative, a grain elevator in the small town of Sadorus, Illinois, on a recent April morning. It’s a regular meeting place for the group of friends who trade wisecracks over cups of coffee and discuss the news of the day at what they jokingly refer to as the University of Sadorus. None of the farmers work at Premier. “We just slack off here,” said Jon Schroeder, who farms corn, soybeans and wheat near Sadorus. 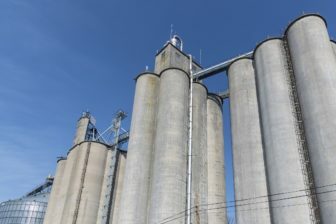 The recent talk of tariffs and a potential trade war between the U.S. and China wasn’t a major concern for the group gathering at an elevator where corn and beans are dropped off, weighed and eventually connected to markets around the world. 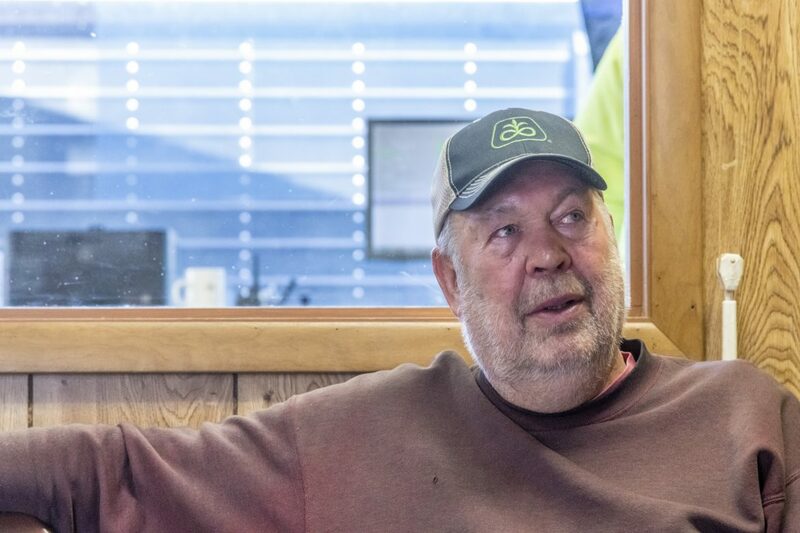 “There’s been a lot of concern from the commodity groups, (like) American Soybean Association, and I think they jumped out a little too quick. And the markets did, too,” said Schroeder. 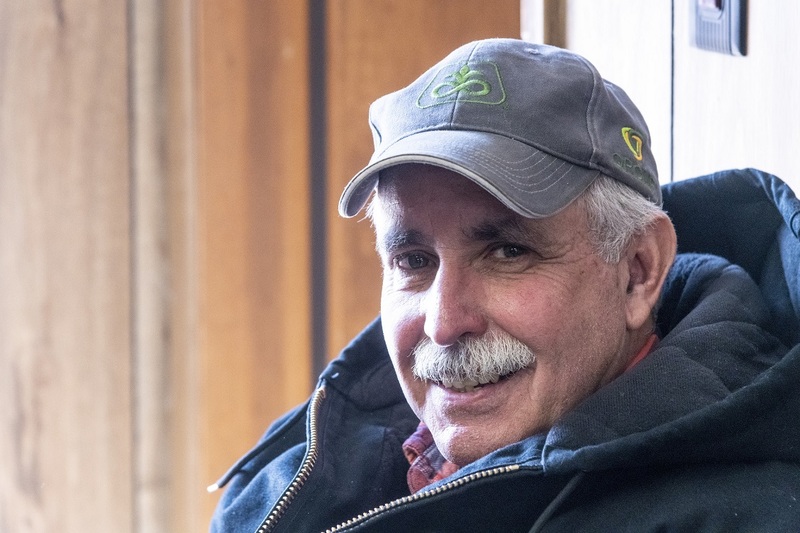 John Boland, another farmer in the group chimed in, adding that the tariff rhetoric has created what he calls a “buy the rumors, sell the facts” situation. The announcement earlier this month that China could impose an additional 25 percent tax on soybeans imported from the United States in retaliation to President Trump’s proposed tariffs on Chinese products not only shook grain markets, it sparked sharp opposition from a range of farm groups, including the National Farmers Union and the American Farm Bureau Federation. The organizations, and many lawmakers on both sides of the aisle, quickly denounced Trump’s rhetoric on trade, worrying that it could hurt farmers if they were to lose access to the Chinese market for American crops - Illinois alone exported $1.3 billion worth of soybeans to China in 2017. And according to the Illinois Farm Bureau, 20 percent of farmers incomes are from exports. Schroeder, on the other hand, says that there are other issues he’s more concerned about than the potential economic dispute between the U.S. and China that has been dominating the headlines. One of the most high-profile incidents of economic espionage Schroeder is referring to occurred in 2011, when an Iowa farmer discovered a man collecting corn seeds directly from the soil. The case led to a years-long investigation by the FBI, and in 2016 the man - a Chinese citizen living in the U.S. - was sentenced to three years in prison for conspiracy to steal trade secrets, a crime that costs American companies $150 billion annually, the Los Angeles Times reported in an article about the case. Intellectual property theft by China in various industries is one of the primary reasons the White House cited when it made the tariff announcement last month. Many companies, however, worry that imposing tariffs would do more to hurt American businesses than it would provide a solution to intellectual property theft. The Motor Equipment Manufacturers Association, a trade group representing the auto parts industry released a similar statement saying that tariffs would be “ineffective” against intellectual property theft. Sitting across the room from Schroeder at the “University of Sadorus” was Bob Styan, who also farms in the area. He believes that panic around tariffs has led to overreaction and thinks that China will continue to import soybeans from the U.S. regardless of policy. But Tamara Nelsen, senior director of commodities with the Illinois Farm Bureau, says her members are very concerned. More than 1,500 people responded to the organization’s action alert to contact their elected officials in opposition to the proposed tariffs, the most responses they’ve had in the span of a week around any policy issue. "Farmers need certainty. Even a verbal trade war creates market disruption,” Nelsen said. It’s unclear currently when the tariffs would go into effect, but the Office of the United States Trade Representative will be accepting written comments from the public regarding its proposed trade policies toward China until May 11. By that time, farmers will have already begun planting this year’s crop of corn and soybeans. Styan says that weather and a late planting season have also created some uncertainty for farmers beyond the tariff discussion. Anna Casey is the Audience Engagement Fellow at the Midwest Center for Investigative Reporting. The fellowship is sponsored by Illinois Humanities, a private 501(c)(3) state-level affiliate of the National Endowment for the Humanities, with support from the Robert R. McCormick Foundation.